In Germany it was the burning of the Reichstag but in any crisis the same could happen here. I think this is very possible with President Trump and a compliant Republican Party which has surrendered any sense of responsibility, including the defense of things that it fought against for years in order to maintain power by supporting a man that just two years ago most mocked and opposed; so much like the non-Nazi German conservatives and Hitler. Sadly, the Republicans don’t even have the excuse of an alleged national emergency to throw away all principle. Let us imagine that following increased tensions and the failure of diplomacy on the Korean Peninsula a coordinated preemptive attack is launched by North Korean agents using Sarin nerve agent in the New York Subways and Washington Metro. In Chicago a SAM-7 Surface to Air Missile hits a United Airline Boeing 777 carrying almost 300 people on its descent into O’Hare Airport. As this is happening dirty bombs are deployed by other agents against major ports in Long Beach, Houston, Charleston, and Norfolk, while hackers shut down major computer networks controlling oil pipelines in the Midwest and Southeast causing oil spills and shutting down much of the nation’s petroleum distribution. Of course the someone claiming to represent the Islamic State will claim responsibility while the North Koreans deny any responsibility, sowing some doubt and confusion as to who did what. While Federal, State and local law enforcement investigate at the points of attack, the FBI, CIA and NSA attempt to ascertain if and what foreign power or terrorist group was behind the attacks. In the mean time the country goes into a panic. Thousands of people were killed and injured in the subways, airports and maritime ports shut down, and prices soar, and Wall Street crashes, dumping some 30% of its value in three days. Prices for imported goods skyrocket, and the all commercial air traffic is grounded leaving millions of people stranded. In response the President invokes measures from National Security Presidential Directive NSPD 51/Homeland Security Presidential Directive HSPD-20 of 4 May 2007, while Congress by a wide margin grants him the authority to pursue the attackers both at home and abroad. Neither the President’s opponents in the GOP or most Democrats object, after all it was about national security and the nation had been attacked; people had died, and the economy was in a major crisis. The President, whose poll numbers were cratering and was coming closer to being implicated in by the Muller investigation uses these new powers to shut down opposition to him, including the Muller investigation in the name of national security, the siren song of all tyrants. Democrats in Congress finally realize that they have been outmaneuvered in the crisis but ti is too late, their protests go nowhere and they are labeled enemies of the state, as are responsible journalists who seek to uncover the truth. Those protesting the violations of the Constitution are jailed indefinitely without being charged in Federal and State facilities as well as for profit prisons. Those that might doubt my concerns need only to look at the life and actions of President Trump, the cunning of North Korea, and the hyper-partisan nature and gullibility of much of the American electorate, and the response of the United States government and populace during past crises and threats to our national existence. The last week was stressful for me. I am dealing with a contractor who is causing problems, and I had a number of other issues going on at work. Likewise, as you know from my last two articles, I was dealing with people in the neighborhood who were and still may be working to make sure that the kids in our neighborhood don’t have a safe place to play. Of themselves they would have been stressful and time consuming but not anything that would amp up my anxiety level. But this week, my base and another one nearby were the targets of a significant number of bomb threats, in fact on Wednesday we had five separate bomb threats on my base and I ended up spending over half of my day in our Emergency Operations Center. Now I know that for most Americans that bomb threats are of little concern, mainly because they have never really experienced actual terror threats in their neighborhoods that impacted their daily lives for months on end. 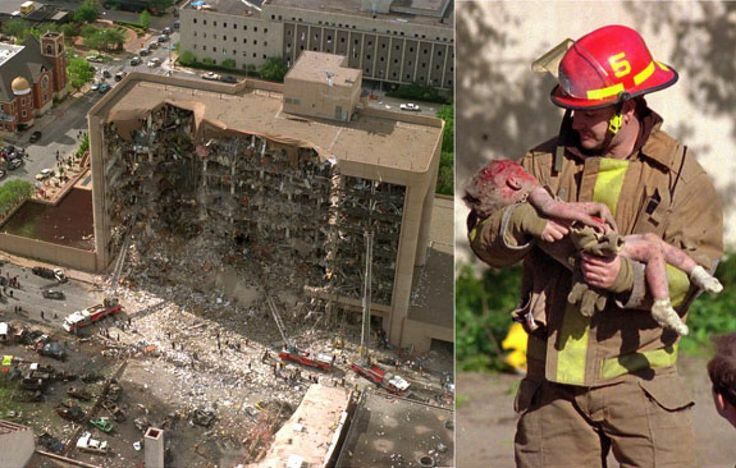 Bigger events like the 9-11 attacks are a different matter. Most Americans live in a nice cocoon of comfortable safety were terrorist bombs are something that blow up in other countries. But my life, and that of my wife have been different from most Americans. For almost three years we lived with the very real threat of being bombed, kidnapped, or killed by members of the Baader-Meinhof Gang, or as it is sometimes known as the Red Army Faction when we were stationed in what was then West Germany during the Cold War. Not only them, but by Muammar Ghadafi’s regime was was sending out terrorists bombers who were bombing places where Americas congregated, clubs, and shopping areas. Of course I also dealt with the possibility of being blown up by Improvised Explosive Devices during much of my tour in Iraq. So for me, and to some extent Judy, a bomb threat is a source of real anxiety because on two occasions we barely missed being blown up by Baader-Meinhof bombs in 1985, and two years after we returned from Germany the aircraft that we flew home in was blown out of the sky over Lockerbie Scotland by a bomb planted by Libyan terrorists. When we lived in Germany in the mid-1980s the threat was real and as I said on two occasions, once at the Frankfurt Post Exchange and once at Frankfurt International Airport, we almost ended up in the middle of bomb blasts that killed and wounded a good number of people. The threat was such that before you got in your car in the morning or started it, that you looked to make sure that there was nothing suspicious. When you entered a base, not only was your identification checked, but your car was inspected. Units on the base had to supply soldiers to patrol the perimeter of the base, and as a young officer I often had to be in charge of the overnight patrols. Likewise, because of the threat you remained observant to things around you even when out in town. One Saturday in 1986 while walking through the parking lot at an early version of something like a Wal-Mart in Wiesbaden, a place called Wertkauf we noticed something unusual. As we walked toward the store there was a van that had it back hatch open and a number of people sitting in it. For a moment our eyes locked that the people in the van watched us until we got out of site. Both of us noticed the obvious suspicion and hatred in their eyes. But we went in and did our shopping. When we left they were gone. We mentioned to each other how strange it was but we went home. 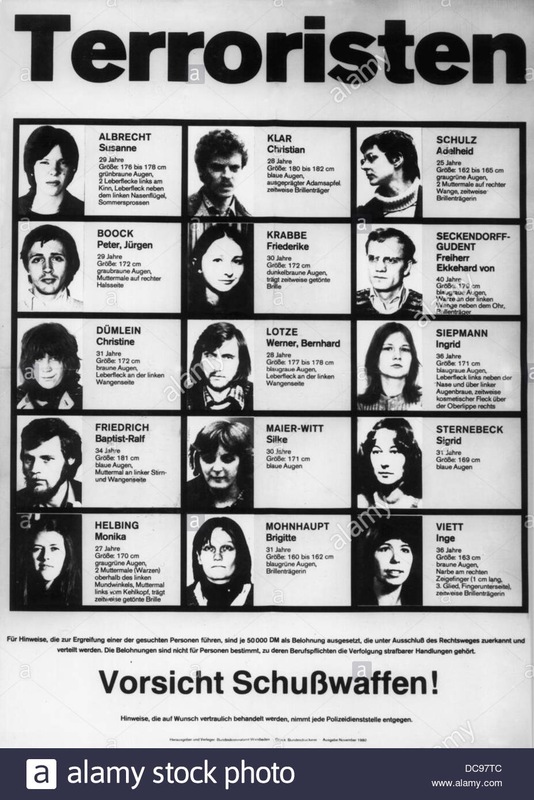 The next day we went to dinner at a restaurant downtown and as we past the main Police station, we saw a wanted poster for Baader-Meinhof/Red Army Faction members, so we went in and made out report, which the Polizie took seriously and interrogated us for over two hours. Most of these people were arrested and tried for their crimes after they lost sanctuary in East Germany when the wall came down. So when these threats occur, especially when they appear to be well coordinated in order to maximize the disruption, I get amped up. My mind goes back to those days in Germany and Iraq. But not only does my mind go back to those places, but it imagines the reality of what could happen if whoever was calling in the threats was also intent on actually killing people. Sadly, it wouldn’t be that hard to kill a lot of military personnel in an attack around our area, there are far too many soft targets, and as a matter of course I pretty much avoid them, even when there are no broadcast terror or bomb threats. When I do go to them I am on high alert looking for things that might be out of place. Hypervigilance is a part of my life with PTSD, and bomb threats only make me more hyper vigilant. The threats we had this week were all false alarms. Thankfully no one set off any actual bombs, but at the same time I wonder if the strategy of the callers is to lull people into a sense of complacency, thinking that there is no basis to the threats. If so that would be a good strategy, because people might stop taking them seriously, opening a gateway for a real bomber. The Navy has put out a reward for information leading to the arrest and conviction of whoever has been behind this weeks’ threats. Personally, if I ever found out who was doing this I would do my best to have them locked away forever. Thankfully my stress level has gone down over the past couple of days, with Wednesday being the worst day this week. I stil might have to deal with fallout from my contractor over the weekend but I am prepared for that. So until tomorrow. 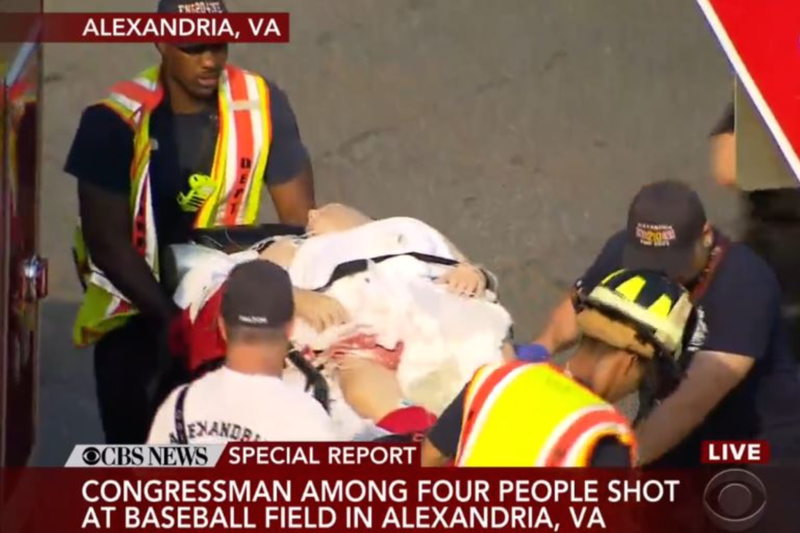 Yesterday a man named James T. Hodgkinson opened fire on members of the Congressional Republican baseball team as they practiced for their annual game against the Congressional Democrats which is a charitable event that helps a number of local agencies that help children. House Majority Whip Steve Scalise was critically wounded and several police officers were wounded during the exchange of fire in which Hodgkinson was killed. I was shocked and infuriated by his actions. Political violence and the attempted assassination of any elected official in a democracy where we still have the ability to remove people or parties from office at the ballot box is never justified. I would call his act an act of terrorism just as I have other acts by so many others. But unlike other times when a white shooter killed or wounded multiple people based on their race, religion, or politics I was joined by many GOP leaders. Sadly, some like Newt Gingrich, Repreantive Steve King and a host of Right Wing pundits blamed it on “typical left wing violence” while ignoring the constant attacks and threats from Right Wing extremists including members of the militia movement, the KKK, and various new-Nazi and Alt Right groups and individuals. At least President Trump, for the first time in his presidency urged unity and extolled the best part of Americans working together. I was pleased to here his words which I think were genuine, and I hope that this will be a moment that defines his presidency in a positive way for all Americans. That being said I have reasons to doubt, not that I want to but because of his past actions which I will mention later in the article. From was we know Hodgkinson was very active politically and quite angry at the GOP and President Trump but until today no one, even friends who knew him well would have expected him to cross the line to commit political violence. The congressman from his district from Illinois said that Hodgkinson was angry in his communications about issues but never crossed a line for the office to think that he was potentially dangerous. However, he had a history of domestic violence, destruction of property and a number of other issues. One of Hodgkinson’s Facebook posts from 2015 was a editorial cartoon criticizing Scalise. Hodkinson had been in the D.C. area a couple of weeks and had been spending time at the YMCA near the ball field where the shooting occurred. The former Mayor of Alexandria saw him a number of times and reported that he appeared to be living out of a gym bag and had offered to help Hodgkinson get a job. I’m sure that there will be more information about Hodgkinson coming out so I will not go into any more detail or speculate why he committed this act, but I will discuss the very real dangers to civil liberty and legitimate peaceful political dissent that his act could lead. Despite my initial optimism about how the President Trump responded today and many of his advisors have shown spoken in very authoritarian language about political dissent, demonizing their opponents, first during their GOP opponents in the primaries, then all who opposed them during the general election and afterwards. 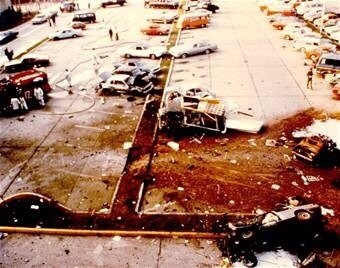 The president even blessed violent acts committed by his supporters during the campaign. Any time a protester physically responded to bullying or intimidation at Trump rallies they were set upon and then were blamed for the resulting violence even if they were the victims. But what I am afraid is that acts such as Hodgkinson’s will result in draconian measures to limit dissent. People forget that it was the action of a single Dutch Communist acting on his own to burn down the Reichstag that gave Hitler the ability to pass the Enabling Act in March of 1933. That act gave his government unprecedented authority to arrest and detail opponents without due process rights, as well as to shut down opposition newspapers. 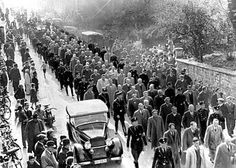 It was followed up by other laws during the course of the Third Reich which further restricted political opposition. Often people arrested in the round ups would be acquitted of any crime but then upon release would be taken by the SA or SS to concentration camps. Another incident was the assassination of a junior German diplomat at the German embassy in Paris in November 1938. When he died Hitler gave Josef Goebbels permission to launch a pogrom against the Jews now known as Kristallnacht. Hundreds of synagogues were burned, thousands of Jewish businesses looted, and hundreds of Jews killed, with thousands rounded up and sent to concentration camps. That is a warning to all who think that individual acts of political violence can be excused or tolerated, they end up threatening the liberties of all. While I do not think this particular attack is a Reichstag Fire moment, the next one might be and anyone who thinks that their act of violence will help the country is sadly mistaken. For that matter it is also possible that a group or individual sympathetic to Trump could create a false flag incident in order to prompt him to suppress legitimate dissent. Like I said we will find out more as the days go by about the shooter, the attack, and the possible executive or legislative responses to it, not to mention possible violence against protestors or politicians committed by armed Trump supporters who have often threatened to respond violently to any attack against Trump or the GOP. This is a very dangerous moment. I do pray that Representative Scalise will recover from his wounds and hope that I will not see progressives rejoice regarding the crime committed by Hodgkinson. Likewise as I mentioned earlier in the article I am heartened by President Trump’s response yesterday and I pray that it will be something that defines the rest of his presidency. I may oppose many, if not most of his policies and actions, as well as hoping that the investigation of his advisers interactions with the Russians goes forward; but I will never continue to hope and pray for the best for our country and yes even for him. That being said I am very wary based on his past words and actions and will never give up my right as an American to speak openly and honestly. I learned that lesson from many great American military men including General Smedley Butler and Colonel David Hackworth. Dissent is still an act of patriotism no matter what some people claim.